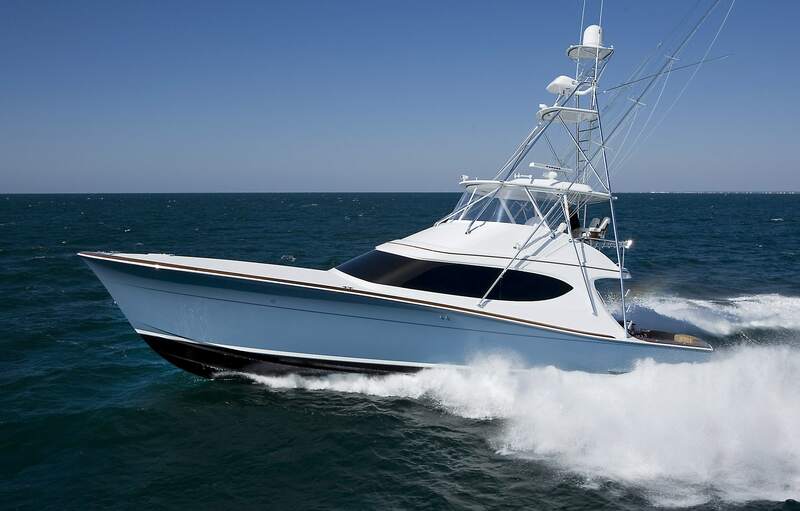 This premium sportfishing convertible is superior to other boats in its class thanks to its elegant Carolina styling, fine sea keeping qualities, swift performance, and the pedigree of build that has made the Hatteras brand the gold standard among serious offshore anglers. At heart, the GT63 is a showcase of the style that has resonated so well with convertible fans. Hatteras updated the look of the Carolina-style boat by taking styling cues from the classics to create a forward-thinking design. That style is marked by aggressive bow flare, a long and low foredeck, a sleek deckhouse and tumblehome aft — an artful element not common on convertibles in this size range. Lines are enhanced with optional teak accents more typically found on custom builds. Speed is important to tournament anglers, and with a top-end of 41 knots at 2300 RPM at full load, the GT63 is packed with the power to leave the competition in its wake. They will also be very satisfied with the GT63’s cruise speed of 36-knots and 440 nautical mile range when powered with a pair of 1,900-bhp Caterpillar C32As. Built with long legs, the GT63 can take a crew on extended runs. The brisk pace is in part due to the way Hatteras slashed weight from the hull with its proven resin-infusion process. The technique produces a more uniform structure with a superior glass-to-resin ratio that also makes for a stronger structure and more precise fit of bulkheads and stringers. To simplify operation and reduce weight, the GT63 adopts a single integral fuel tank that’s built to ABS specifications. Because it’s mounted down the centerline, it makes for better performance since the longitudinal center of gravity moves aft as the boat burns fuel. The GT63 is a best-in-class tournament convertible, and its cockpit is proof of that. It’s sized and equipped to meet the high standards of the most experienced crews. In addition to clever stowage for everything from tackle and rods to gaffs, there’s an optional recirculating livewell in the transom, twin refrigerated fish boxes, and a drop-down wing station with clutch and throttle controls. Passenger comfort is key in a top-notch cockpit too, so Hatteras engineered a mezzanine seat with a sloped backrest that can make a long run in choppy seas feel like a luxury ride. The ladder from the mezzanine leads to the open bridge, which features a center console helm and ample seating and storage forward. 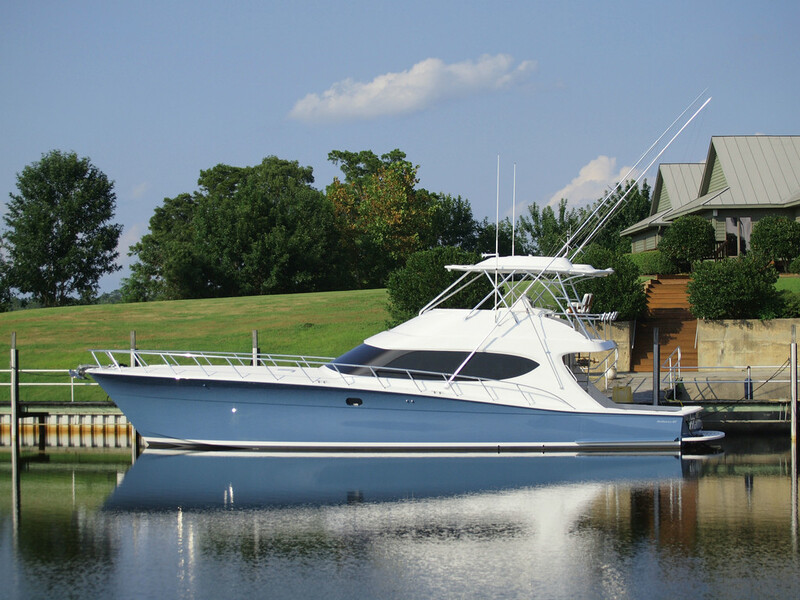 The GT63 is also offered with an optional enclosed flybridge. The interior represents an evolution for Hatteras. Its large salon and island galley are unrivaled, providing a comfortable space for relaxation, cooking and improved traffic flow. By eliminating the use of boxy window frames around the windows, the GT63 achieves a 270-degree view from the salon deck. Exquisitely crafted built-in furniture is arranged to create a space that feels big and bright, and also makes it easy for passengers to take in the scenery from any seat. A smartly designed island counter is the central focus of the galley design. This feature improves traffic flow and increases cabinet space. Add the optional bar stools, and it becomes a great work area as well as the perfect place to host more guests for dinner. Sleeping accommodations are forward of the galley and feature a standard four-stateroom, three-head arrangement. The luxuriously appointed master stateroom features a queen-sized double berth along with a large built-in dresser, matching nightstands, and full-length hanging closet. Forward is a beautifully designed master head with same detailed woodwork and cabinetry found throughout the vessel. In the bow, the VIP stateroom can be configured for a large double berth, or a separate V-berth arrangement. The VIP also has its own private head. On the portside are two bunkrooms separated by the day head. An over-under arrangement in each room allows for comfortable accommodations for crew or guests. Multiple options are available to allow owners the ability to customize the layout to meet their specific needs. 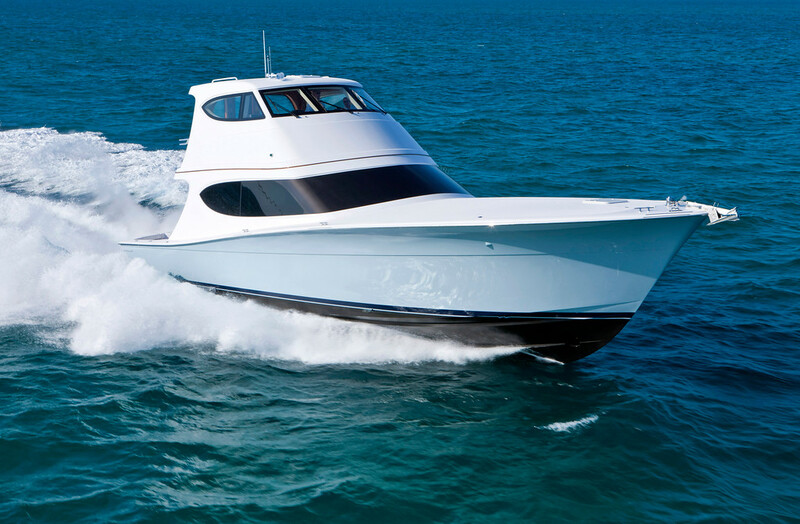 Like all Hatteras yachts, the GT63 is engineered with our trademark propulsion, electrical, and mechanical systems, which are the most robust in the industry. 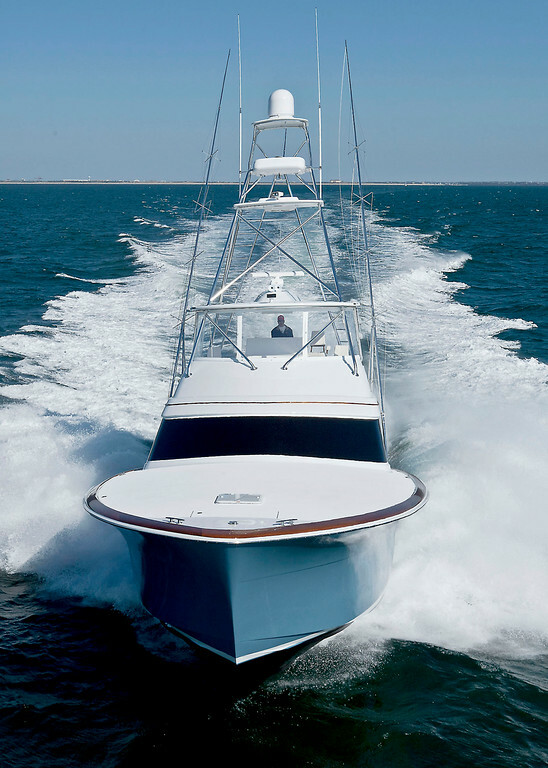 The GT63 is designed to provide best-in-class performance while maintaining the same legendary ride and durability that built the Hatteras brand.